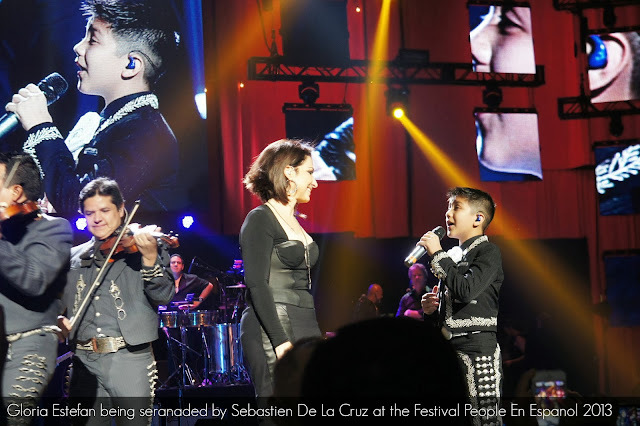 So, I know a few weeks has passed, but I want to share you why the Festival People En Español is more than just music. What it brings to San Antonio is magical, and I can only hope that the event has many more years here. What the Festival has done for me, is more than what I could have imagined. It has fulfilled dreams that I have about being a part of my Hispanic community and it has brought me memories that I hope to remember and will continue to talk about my entire life. 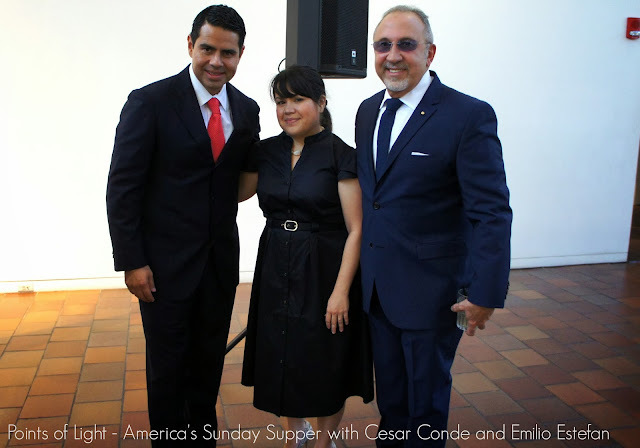 It helped bring Points of Light's America's Sunday Supper to San Antonio. 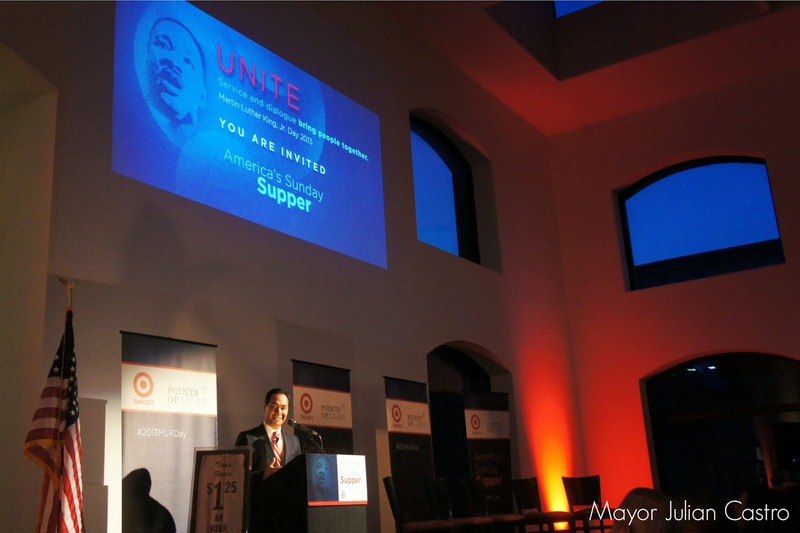 I was invited to attend as a media guest of Target, who was the supporting sponsor of the Festival. Considering that San Antonio has the largest MLK March in the country, it is only fitting that in the year of the 50th Anniversary of the Historic March on Washington, a Sunday Supper is celebrated here. This dinner brings together a panel of influentials that made me feel like I was experiencing HBO's Latino list right before my very eyes. The energy and intellectual and hopeful conversation just ignited my passion of education and the community in which I am raising my children in. It also brought Hispanicize to San Antonio! Our friends at Hispanicize almost didn't make it to our city, but with the festival in town, I don't think founders, Manny Ruiz could resist! San Antonio kicked off their Hispanicize HX tour, and I got to mingle and meet with social media and marketing friends, old and new! I couldn't believe that all of this happened before the 2-day Festival! So as Saturday came, our plan was to explore the daytime events as a family. It gave us some fun time together as we walked through town, and took in some daytime activities. It helped teach my children (and us parents) some patience as we waited in line for the Doc mobile. It was such a highlight for my daughter. 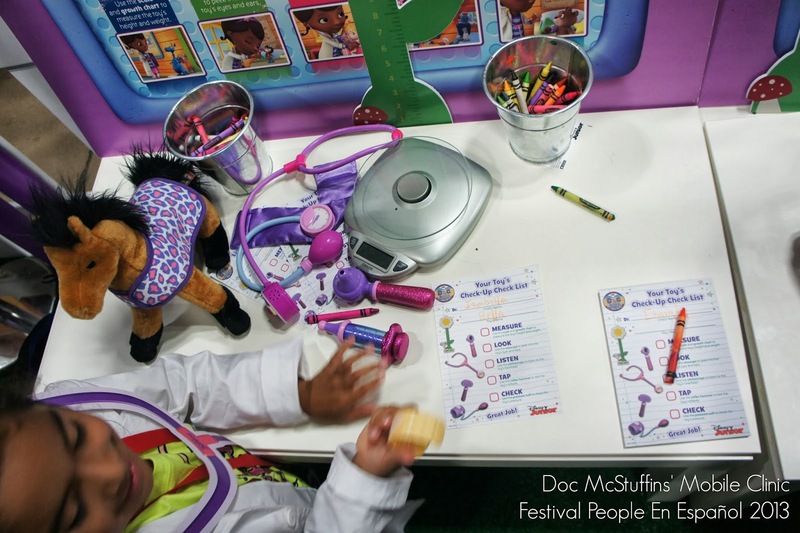 There were even real doctors who were working with the kids as they gave their stuffed animal a checkup! We also got to meet fellow Texan and Olympic Bronze Medalist, Marlen Esparza, who was so nice! The Festival also brought us Nely Galan! I first saw her on HBO's Latino List. She announced that she is bringing her motivational tour, the Adelante Movement to San Antonio. Ladies, this is a free event, with inspirational latinas that you will not want to miss! After she spoke to the crowd on stage, she signed people up to learn more about her movement, took pictures and signed autographs. As a guest of Coca-Cola, I was able to sit with local bloggers, Michelle Cantu, Melanie Mendez-Gonzales, and San Antonio entrepreneur, Rebeca Barrera of Tres Rebecas and just have a real conversation with her. We sat in a circle and talked about being a Latina, a mother, taking care of yourself, and of course buying building, not shoes. The positivity was just so tangible, I can still feel it lingering inside me! 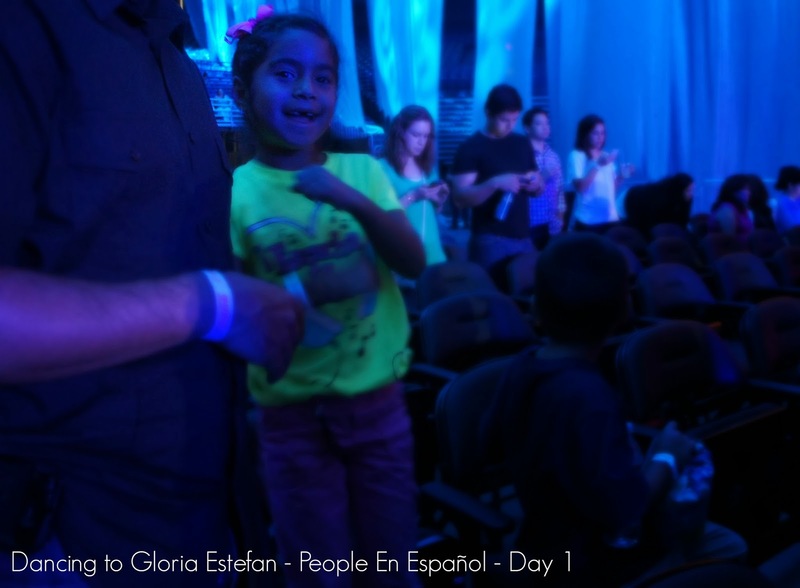 I sang "Happy Birthday/Las Mananitas" to Gloria Estefan with my 7 year old on my hip. She sang with me, alongside mariachi, Sebastien De la Cruz, who we famously watched on tv during the NBA Finals. "Las Mañanitas" is a song my children learned in their dual language Kindergarted class, that we sang over and over. Never, did I ever think we would get to experience it with these two, live! 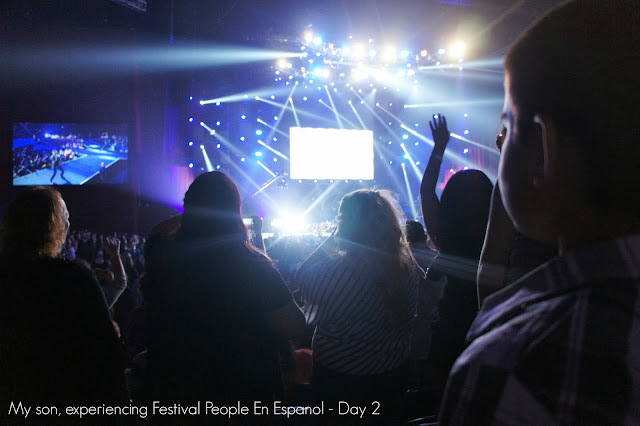 While I may have planted some seeds of Spanish music in my children, when playing some Juanes on a Sunday morning or by flipping through radio stations in the car, the People En Español Festival amplified their interest and love for it, as only an event if this magnitude could have done. And finally, it gave me the reaffirmation that the efforts that we do to bring culture and Spanish language into my children's life are alive and working. They are making connections to the event, humming songs that they heard throughout the weekend, and making plans for next year. And my heart couldn't be more happy!